Welcome to a brand new week, friends! I always look forward to Mondays, they are just full of fresh possibilities. Can you believe we are actually in our FINAL week of our Declutter Challenge here?! Time has flown by and my house is feeling the difference! How about you? What differences have you noticed in the last few weeks? Last week we cleaned out the area under our bathroom sinks, so this one shouldn’t be unfamiliar. As usual, take everything out from under your sink. Everything. Clean the area and be sure there are no leaks coming from anywhere. Discard anything that is broken, expired, defective or no longer used. Return things to their proper home in the house. Keep only what is needed under your sink. That could mean cleaning supplies, a small trash bin, sponges and cleaning gloves. You will know what you actually need to keep. 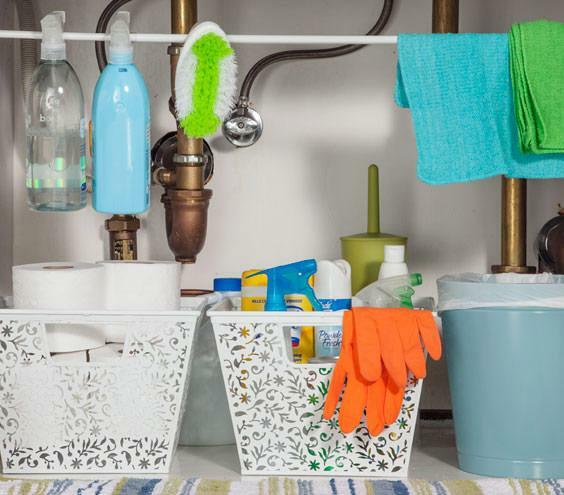 Determine if you can organize your supplies in labeled bins under the sink, or in a container of some sort. It will help keep the clutter controlled so things don’t end up all over the place again. Think outside the normal storage – could you use a magazine holder? How about a small lazy susan for your cleaning supplies? I love the idea of installing a tension rod to hang cleaning bottles. 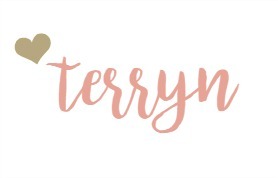 Wow I love everything about your blog – it is beautiful! And the photos are definitely right out of my dream home. I believe I repinned a couple of your posts recently too. Coming from The Blogger Life. This is such an important space to keep decluttered! I have lost so much or purchased more cleaning supplies due to not being organized. Now I keep all of my supplies on a coffee table tray on one of my storage units. If it does not fit there, I obviously do not need it! Wonderful tips! I love that you make decluttering so simple and effective by doing one small area in your home at a time! Thanks for sharing! Great idea to break the decluttering task into small areas so it isn’t so overwhelming! That’s the prettiest area beneath a sink I’ve ever seen! Now I am going to go back and read all your other decluttering posts. I have gotten the decluttering bug, and I am whipping our apartment into shape! Thanks for the inspiration! ohhh the tension bar is a great idea!! I definitely need to do that!! I need help under there and I’ve been at a loss as what to do! But this is fabulous!! Challenge…accepted!!! I spend the most time in the kitchen and digging out cleaning stuff from under the sink. It takes me 5 minutes to find trash bags every time!!! lol. Spring cleaning (a little late) here I come! 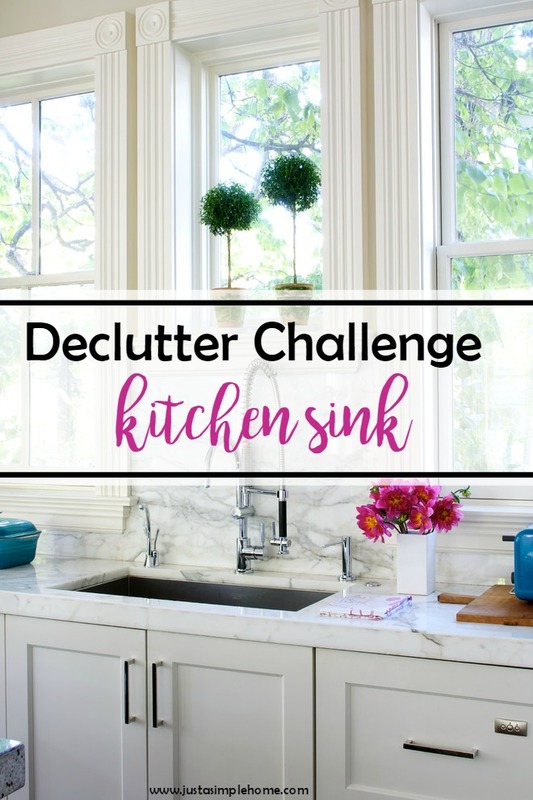 I love the idea of a declutter challenge. I have been trying (and failing) to get to my master bathroom cupboards for months and months. I do not know what the sticking point is. You have inspired me. Such great tips! I do this periodically as well. I need to declutter my bathroom sink. Somehow that one always gets the kids’ stuff rammed into it! Ooooh, that tension rod is a great idea! I need to come up with a system for organizing under our kitchen sink…it’s an overwhelming mix of all different kinds of cleaning stuff. I need to straighten it up!